ManageEngine ServiceDesk Plus is one of those help desk solutions that does it all. 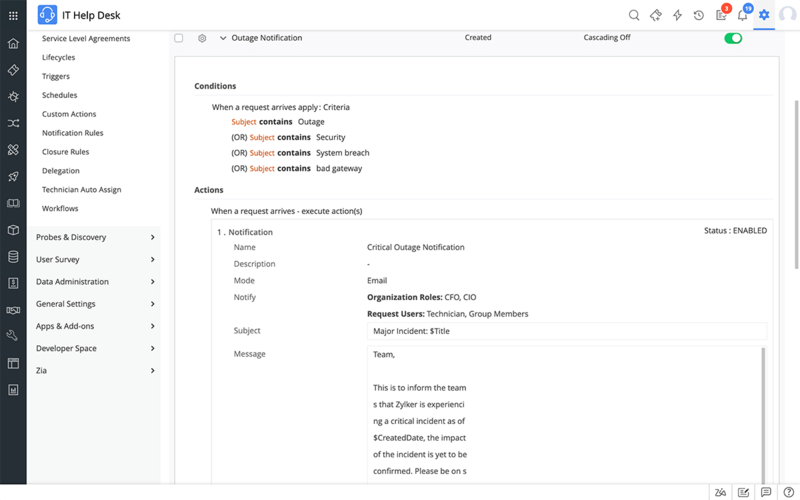 Whether you need to automatically assign incidents to technical staff, convert emails automatically into tickets or use trend analysis reports to get to the root of a serious problem, this is the help desk solution you need. How much time could you save if your users could raise their own support tickets? This could cut down on the phone calls and emails your help desk receives dramatically. The self-service portal allows users to not only raise their own tickets, but to also track the status of their tickets further reducing the calls received by your help desk. Learn more..
A good knowledge base can give users instruction on how to resolve certain problems and also give your technicians a repository of solutions to technical problems. You can build the knowledge base yourself so that it is full of useful information that can empower your users and reduce problem resolution times. Learn more..
ServiceDesk Plus can dramatically reduce the amount of emails received by your help desk. 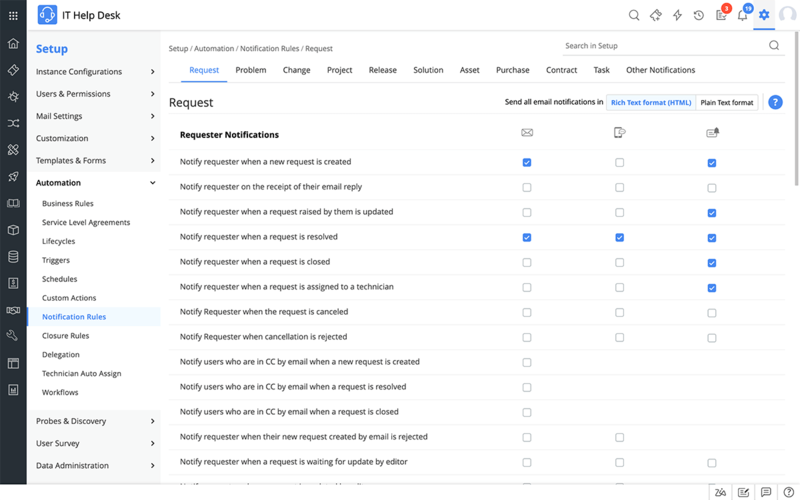 If you have been looking for help desk solutions that can automatically convert an email into an incident, you have found it in ServiceDesk Plus. That means no more copying and pasting from email to your help desk software. Learn more..
Do you have lots of different sites in your organisation? Many help desk solutions are unable to keep track of different geographical offices. 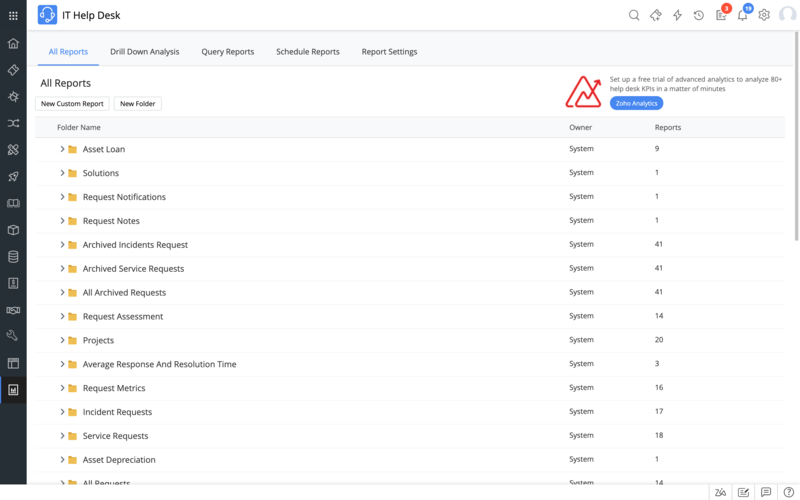 ServiceDesk Plus offers this functionality as standard allowing you to track incidents and assets regardless of where they are. Learn more..
SLAs are important to ensuring customer satisfaction. 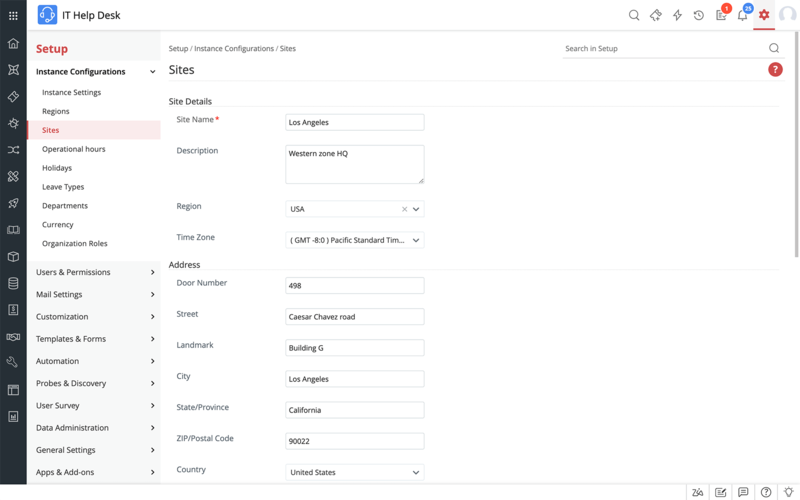 ServiceDesk Plus allows you to define your own SLAs and will notify you using Notification Rules when these SLAs are violated. Learn more.. Need to integrate your help desk solutions with third party software with API integration? 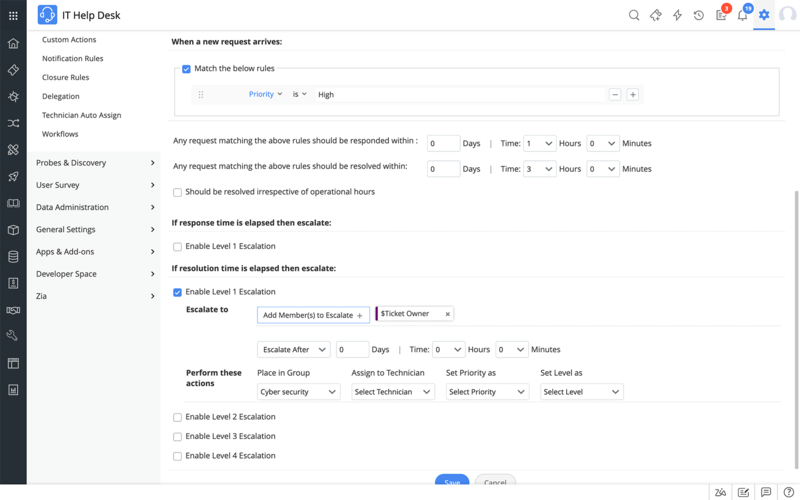 ServiceDesk Plus allows you to manage requests and events that have been created elsewhere - perfect for when you want to migrate away from your existing help desk Learn more..
Business Rules are so useful. 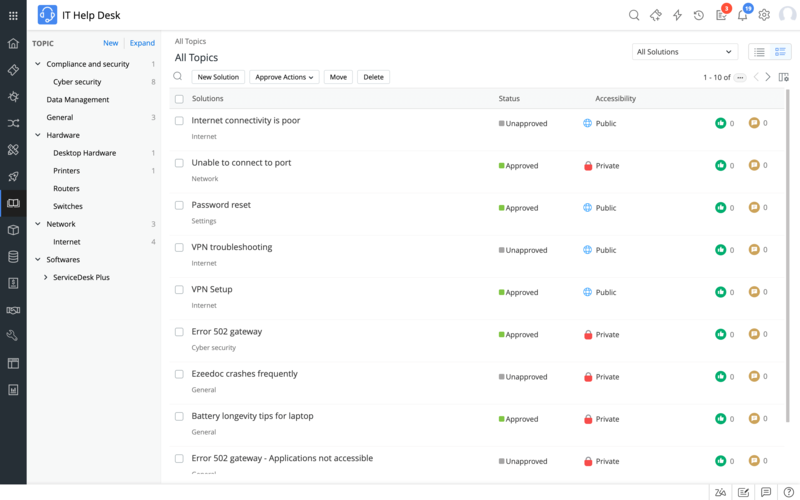 When set up, you can have each incident assigned automatically to levels, priorities, categories and technicians. The vast majority of incidents received by your help desk solution could be handled in this way making your help desk more efficient and effective. Learn more.. Notification Rules help you to inform users what is going on and also help technicians keep on top of the status of incidents. This function allows you to send out confirmation receipts to your user community so that they know their call is being dealt with. You can also send out automatic alerts when an incident request has been changed or when it has been assigned to a technician or team. SLA violation alerts can also be sent. Learn more..
A reporting function lies at the heart of most help desk solutions and ServiceDesk Plus offers a very robust reporting mechanism. Use trend analysis to review a problem or service failure or run reports on technician performance or help desk load. 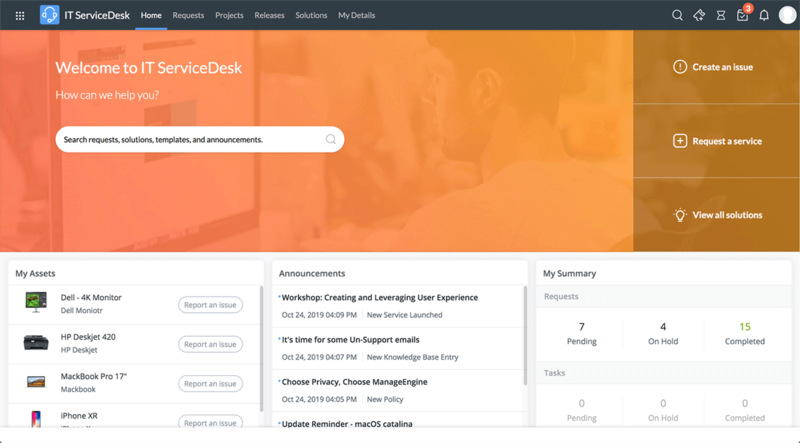 Learn more..
Get more from your help desk solutions with the user survey feature in ServiceDesk Plus. If you want to find out how you can improve your services, ask your users for feedback. The results could help you to cut resolution times and give your users better service overall.